Sustainable fashion gets a bit of a bad rap, but it’s not surprising considering the prices brands often want to charge. 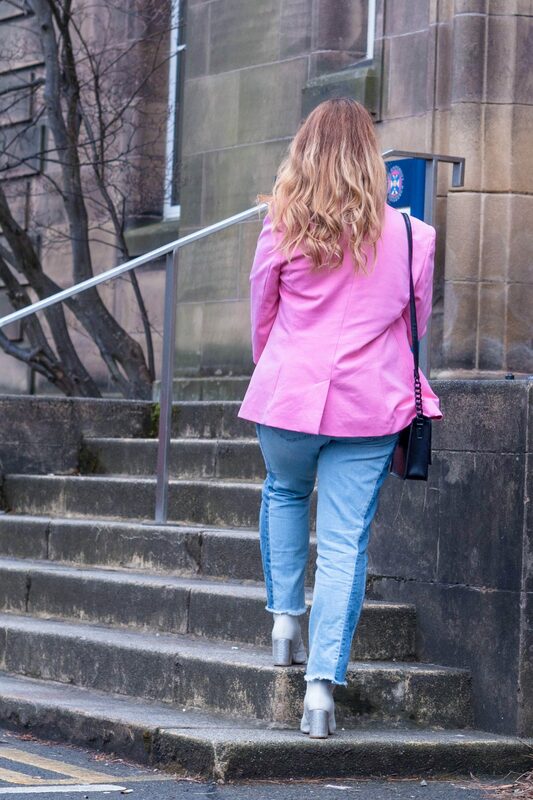 As a university student, I’ve got really used to the £15 H&M jeans, £3 Primark tops and the occasional ‘splurge’ at Zara, because that was where I could afford to shop. 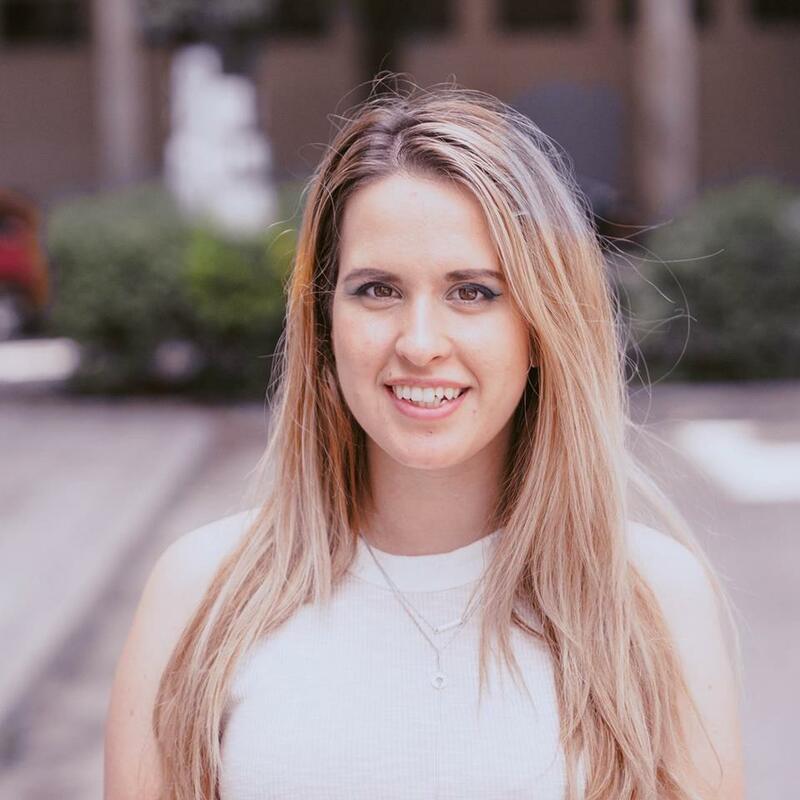 That’s why, when I decided I wanted to have a sustainable closet and opened a random sustainable brand – Reformation (okay, I just wanted to see what the hip and cool people were raving about), I was honestly shocked. There was nothing, and I repeat – nothing – under £30. Even the most basic of tops were above that, not to mention their famous dresses which were near £200. If I wanted anything from their store, I would practically have to choose between an admittedly gorgeous dress, and a month of groceries. And because I love food a bit more than I love fashion, I decided to look for some budget friendly alternatives to buying from popular sustainable brands. Here are 7 super easy ways to have a more ethical closet without going broke at the same time. Swapping clothes is a super easy way to get some new exciting items while spending 0 pounds. And nothing is more sustainable than not buying anything new. I’m sure that you have at least one friend who is a similar size to you. And even if you don’t, you can always go for shoes, bags and oversized jumpers. Seriously, you have no excuse to not try it. I’m not going to tell you to organise a clothes swap with your 5 girlfriends, because if you are an introvert, that just doesn’t make any sense. If you love loud parties, then do feel free to invite your girls for a drink, asking them to bring some stuff they don’t feel like wearing anymore. But if you’re more like me, then be gentle with the clothes swap. Start with a family member if you can, because you’d be way more comfortable asking. Then try the same with your friends. Let their fashion regret become your new staple item. And if your friend really loves something of yours, but you don’t like anything from their closet? Be a good person and just gift it to your friend. It will make you feel good, and your closet will be free from something that was just taking space anyways. Second hand shopping is something that still gets very mixed reviews. Some people (like me) rave about it all the time. Others are ashamed of doing it. And then there’s people like my mom who would never voluntarily do it, but don’t mind the occasional item that I get for her. Let me quickly shed a few myths. Thrifting is not only for the poor. Clothes aren’t dirty and old-fashioned. And there’s nothing shameful about buying second-hand. In fact, thrifting is an ultra sustainable option for your closet, because it doesn’t require any new clothes to be made. You’re just picking from what is already there, and probably saving A LOT. One of my favourite things about thrifting is the hunt, the chase and the discovery of something unique. Admittedly, it’s not as easy as going to a beautifully organised store. But I can guarantee that you can find whatever you need second hand, and it will probably be as good as new (besides undies – ugh that’s gross). So why buy second hand? Firstly, it’s a great way to test a trend or a piece that you’re not entirely sure about. 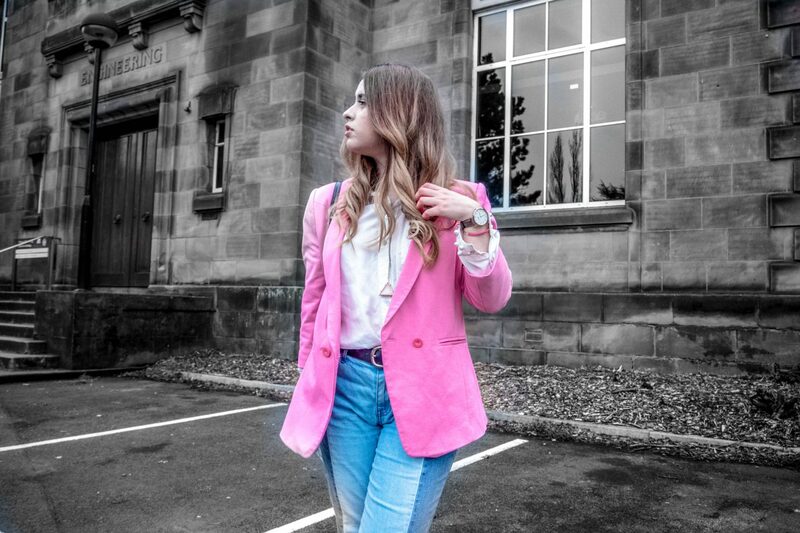 For example, if you want to get a bright blazer, it’s probably better to avoid spending £80 at Zara, when you can spend £8 and get a very similar item second hand. 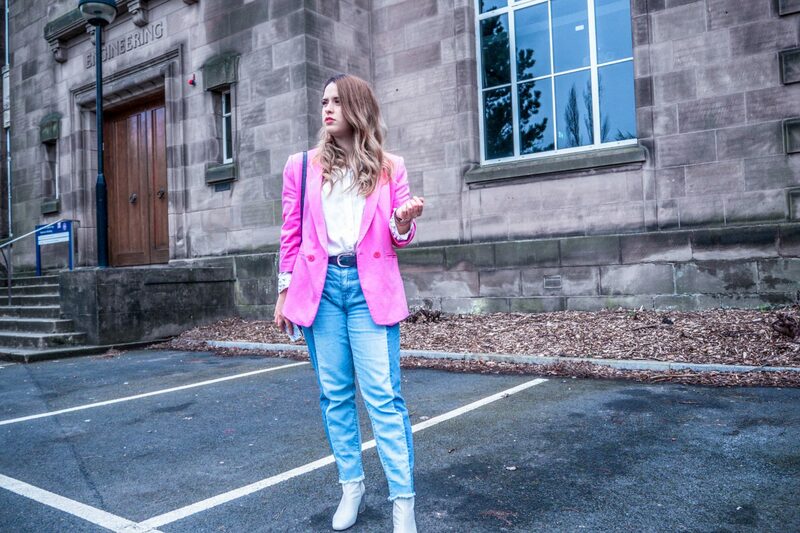 Plus, you may actually find the same exact Zara blazer you want for much less on second hand websites like eBay and Depop. Besides trying new things, thrifting is a great way for us shopaholics to indulge our unhealthy cravings. I honestly love shopping, and haven’t lasted more than few weeks without buying anything. With second hand shops, I can afford to go shopping fairly often. All this without becoming one of those people who spend the rest of the month on beans and toast after a particularly large order on ASOS. It’s a guilt-free way to enjoy shopping. And if you do it well- you won’t end up looking like an 80s hippie, I promise! 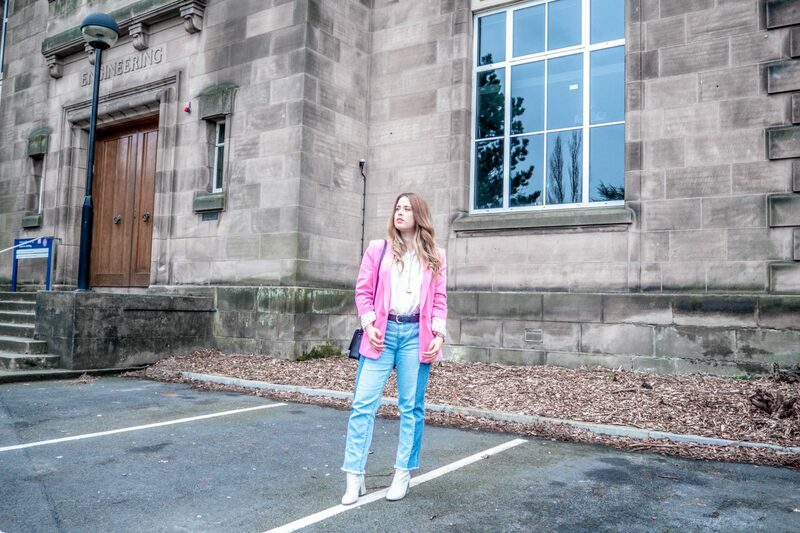 P.S This whole look (besides the shoes) is thrifted – and the blazer is from Ted Baker! Okay, thrifting is amazing, but without all the people donating their clothes, there would be nothing for you to pick from, right? So another way to have a more sustainable closet is to actually get rid of stuff that doesn’t enrich your life anymore. I won’t go full Marie Kondo on you, but seriously: if a dress or top makes you look fat, donate it. If you’ll never get to repairing that broken zip, donate it. People are different, and your ‘fat’ top may look fab on someone else. 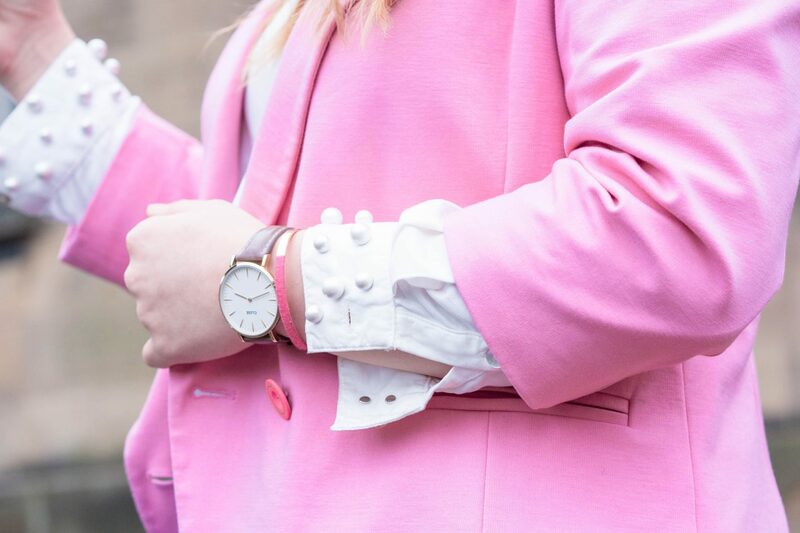 Having a leaner closet means you will wear more of the things you love and make you look good. Plus, it will be much easier to pick what to wear when you have 50 instead of 200 items. I never thought I’d say it, but after donating 50% of my items, I feel good and getting dressed has never been easier. Oh, and one more thing. Many stores will reward you for your donations. In the US, you can get some tax refund. In the UK, the Salvation army gives you £2 back for every bag you donate. And trust me, just £10 can turn into something amazing in the right shop! A very easy way to have a sustainable closet is to work with what you already own. Do you have clothes that are too big, too small, slightly stained, or the seam has come loose? I do. I recently thrifted a pair of amazing Zara checked trousers (yes, they were still on sale at the actual store). The only problem was that the zip was broken, and I never actually repaired it. But don’t be like me, and get to a tailor. Yes, these people still exist, and although it’s not always super cheap, most alterations are under £10. 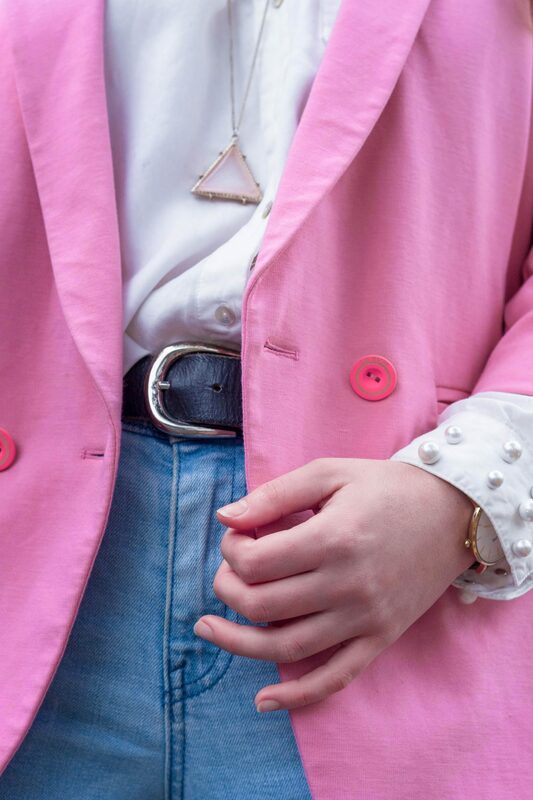 You can get your jeans cut, the zip replaced, or the jacket tailored to your frame. All you need to do is googling a good tailor near you, and just going! I have my hero tailor back home, so every time I go back, I always visit her with a big bag of clothes. You won’t regret it (unless you pick a bad tailor! ), so just please do yourself a favour. Go fix your items, and they’ll last you much longer. Some people shiver on the thought of doing anything crafty, and I totally get it. 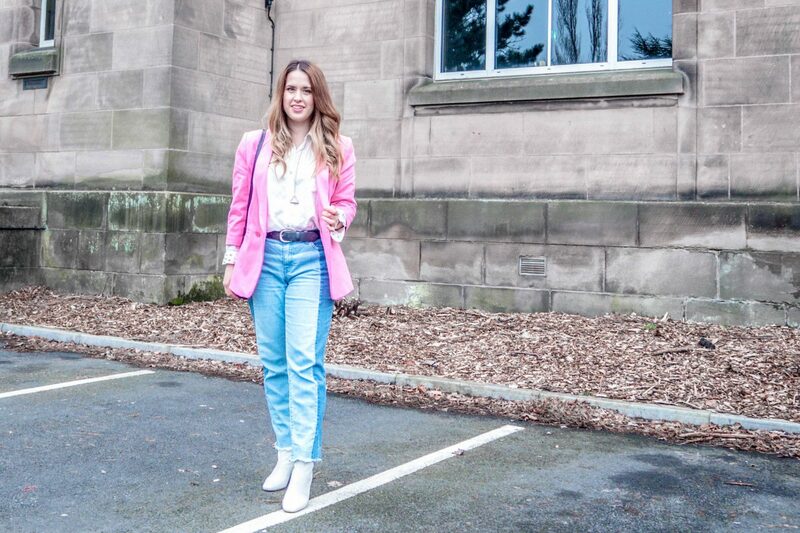 Making a pair of trousers into a bomber jacket is not for everyone, no matter how many times the blogger says it’s ‘easy’ and ‘for beginners’. I am a beginner, and my DIYs always turn crappy. But if you can do it, making new clothes from something you already own can be a lifesaver when you’re bored to death with an item, but just don’t want to throw it away. I totally recommend A Pair and a Spare – her tutorials are just so pretty, and actually fairly easy! One thing that for surely YOU can do is cutting. Making things shorter is a total trend these days. Fabric scissors can be handy, but if you just have normal ones, they’ll work just fine. 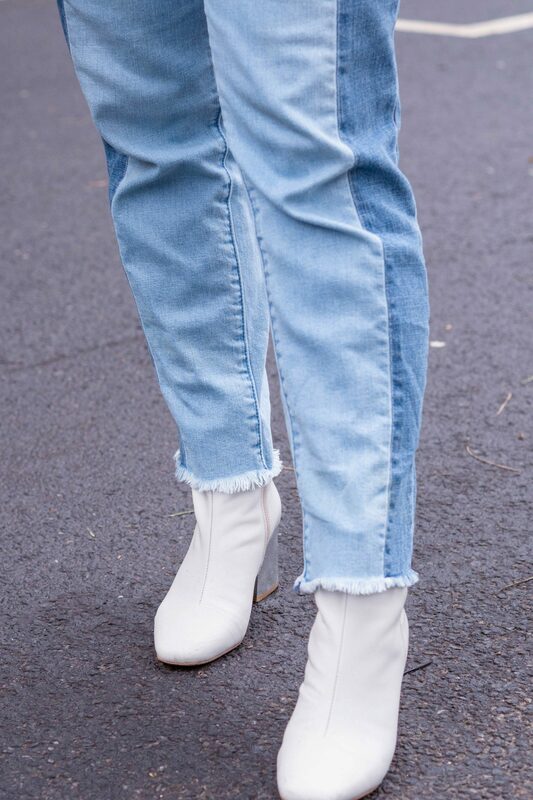 Go ahead and crop your jeans, trousers, skirts and any kind of top. Steal a polo shirt from your dad or brother (but make sure it’s not their favourite one) and just crop it! It looks effortless and like you just stepped out of Instagram. 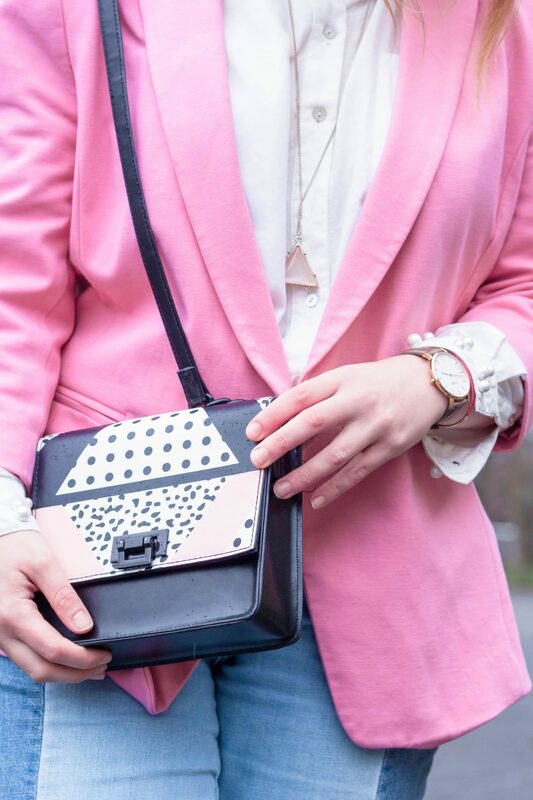 For some inspiration, Ashley from Bestdressed is the queen of cropping! Okay, now let’s talk about new items. You’ve probably heard something about fast fashion brands like Zara and H&M destroying the planet and the people who work for them. It’s a very serious issue, but not one for today. If you have decided like me that you don’t want to support Primark and the likes anymore, cudos to you. But then you’re left with thrifting and swaps, and believe me – it can feel overwhelming. 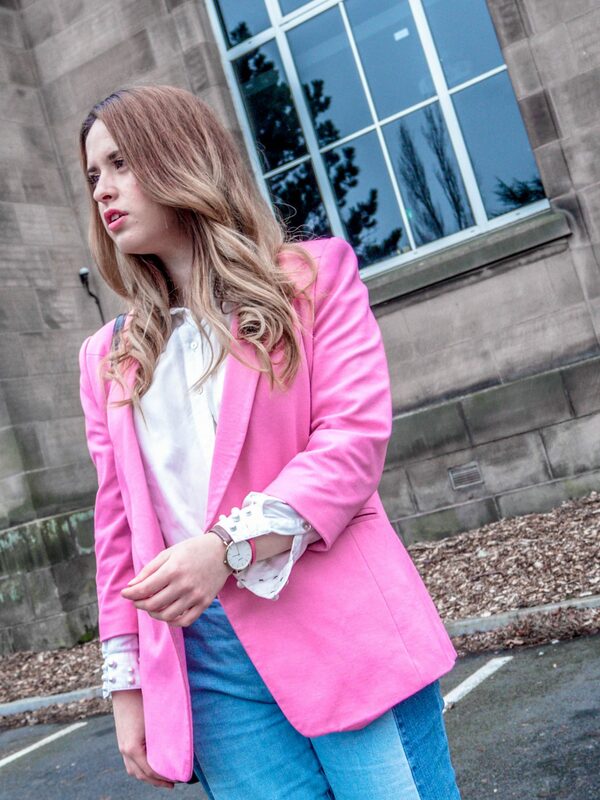 There are times when I feel everyone has a better style than me, and I desperately need a checked blazer. The FOMO kicks in every time I open Instagram. Sometimes you can’t find what you want second hand, and you feel like your effort is kind of pointless. Then it can be so tempting to go back to your old faves. After searching high and low for a pair of jeans, you may end up in Zara once again. Unlike most of the community, I am not 100% against fast fashion. Because I know that sometimes, fast fashion items can be one of a kind, amazing pieces that you’ve just fallen in love with. My only tip: write it down somewhere and don’t look at it for at least a week. The next time you open your list, if you’ve forgotten about it, you know it was a craving. If you can’t stop thinking about a shoe or bag for over a week, buy it. Chances are you’re going to really love it and wear it. And finally, there’s a tip for everyone who wants to be a more sustainable shopper but has the occasional slip up at Zara or Primark. 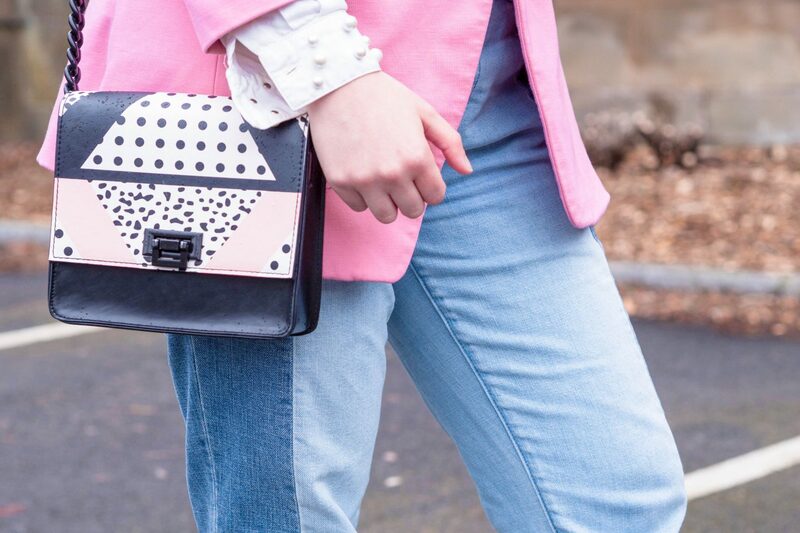 Quitting fast fashion cold turkey is almost impossible. Yes, ethical and environmental problems are important, but I know how hard it can be not to shop where you are used to. So here’s what I normally do. When I find a piece that I want, and somehow I ended up buying it, I never take the tag off. I let the item sit in my closet, and try to see if I want to wear it the next day. Usually, when something is really your style, you kind of want to wear it straightaway. If something looks cool in your mind but deep down you don’t feel confident in it, you won’t wear it outside. It is these items that you have to return, no matter how much you love them. I’ve managed to prevent many costly mistakes by keeping the tags on an item for at least a week. Sometimes (and don’t kill me), I’ll wear an item like a jumper or a blazer with the tag still on. If I’m running a small task for let’s say an hour, it gives me a chance to see how the item works with my life. There have been so many items I loved when I tried them on. But when I actually wore them, they were too tight, or loose, or made me look like a sausage. So if it doesn’t work for you, please return it while you can! 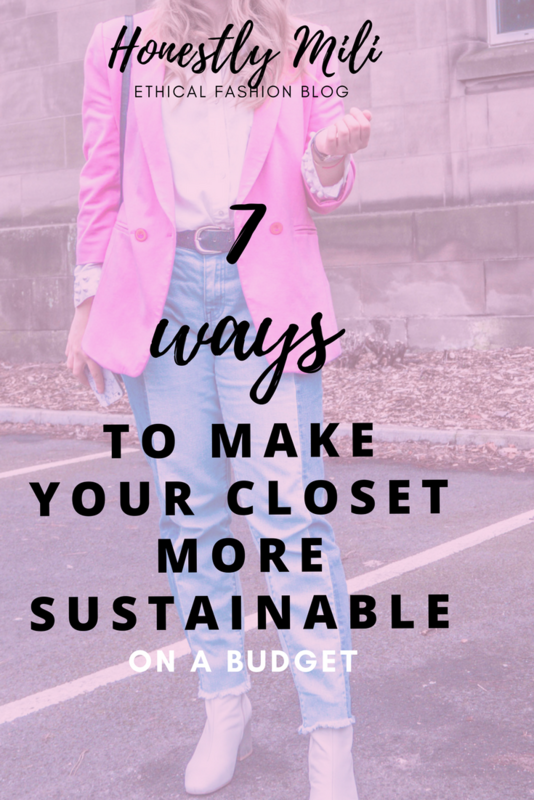 What is one way that you make your closet more sustainable? Let me know in the comments below! Should you care about Fashion Revolution? Next Post Should you care about Fashion Revolution?